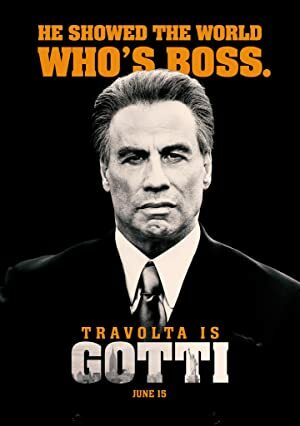 Gotti (2018) – What's New on Netflix Canada Today! The film will reveal the relationship of a father who lived and died by the mob code and a son who, while brought up to lead a life of crime, chose to leave that world behind and redeem himself and the Gotti name. Never before has there been such an inside look at the Gotti family and their world of danger, betrayal and redemption. John Gotti was head of the Gambino crime family, which in its time was the largest and most powerful crime organization in the country. Known as the “Dapper Don,” John Gotti’s flamboyant style and outspoken personality made him one of the most famous mobsters of the 20th century and he ruled the underworld until he died from cancer in 2002 while serving a life sentence. In 1988, at the age of 24, Gotti Jr. became a “made man,” and was officially inducted into the Mafia, making him the heir-apparent to head the Gambino crime family and follow in his father’s footsteps. But in 1999, Gotti Jr. paid a now-famous last visit to his imprisoned and dying father to tell him he was ending his life of crime and getting out of the family business. During the years that followed his father’s death, Gotti Jr. had a long legal battle ahead of him and served three jail sentences, totaling approximately nine years, for a variety of charges. Gotti Jr. was finally released from prison in December 2009.